A few days back while I was updating my TMS Facebook page a query popped up in one of my recent post stating – what are LSI keywords? Are they important for on-page SEO? How do searches relate to target keyword help in better search engine rankings? Though I cleared the query at that time but later on.. ..I felt people often get confused between the target keywords and semantic keywords. Moreover, the term is new to many of the newbies. So, if you are following SEO best practices seriously to rank among the top searches in Google you need to take care of LSI keywords! In this post, I have cleared each question which comes into your mind while talking about related search terms or long term keywords. What are LSI Keywords and Why They are Necessary? In simple terms – LSI keywords refer to long tail keywords or closely related words and phrases of your primary keyword. LSI which is also known as Latent Semantic Indexing is a part of the Google algorithm. It was created to stop people from spamming the content with keyword stuffing. As you know search engines are not humans they can’t process language as humans can! So to ensure that you are playing by the rules and not pleasing the search engines..
..Google spiders are sent to crawl your content for synonyms that relate to the title of your page. I am going to explain how Google differentiate between the same words with multiple meanings. Let’s say, you are writing an article about “Apple”. Now, for Google, Apple can be a fruit or an American multinational technology company! Google will look for other keywords to clear about which Apple you have written about. Suppose, I’ve used the “Apple iPhone” in my content then, it gives a clear thought that my context of the article is around one of Apple’s product iPhone. Ultimately, Google will now search for more similar keywords like specification, pricing, software etc. You now have the freedom to use the primary keyword or main keyword (Apple) along with its related keywords (iPhone) moreover similar words for its related keywords(specification, pricing, software, etc.) and so on. 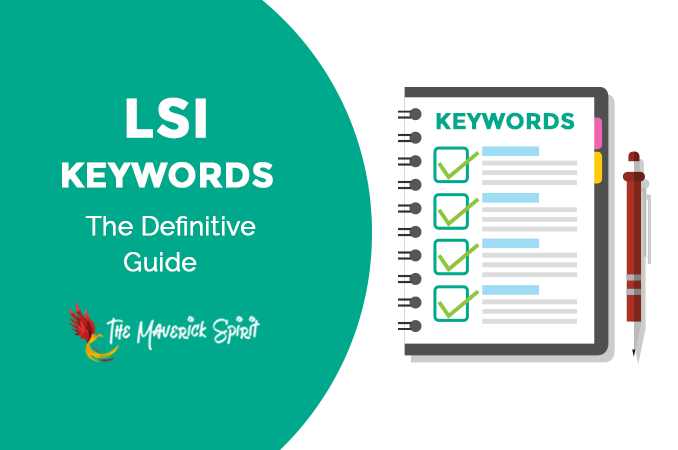 If you are taking SEO seriously then you must be aware of using LSI in your content. It gives an idea for website positions in SERP’s to internet search engines like Google, Bing, etc. by checking the number of times you use target keywords and synonyms. So, make correct use of similar keywords in your content if you want to rank your website post higher by beating your competitors online. Don’t repeat it excessively for keyword density as it could mark you as a spammer even your website could be caught up for over optimization penalty issues. Maintain a keyword density of up to 3% for your primary keyword. The main role is to make search spiders aware that your content is valuable for your main keyword and that your post revolves around talking about the same by using synonyms. Free LSI keyword research tools. In addition to some well known over optimization checking WordPress plugins. I have mentioned some well-known free and premium LSI keyword research tools that will help you find the best and right similar words and phrases. Here, I have divided the use of LSI in two different aspects OFF page and On page SEO. The answer to your next question where to include LSI keywords for On page SEO. The cool thing here is you can use it anywhere in the article! Starting from the top position of the blog post – in the Title tag, Heading, and Permalinks. Creating a quality content by optimizing it with target keywords with which you wish to reach high rank in search. Sprinkle long tail keywords in your write-up. Use primary and identical words as image Alt tag. Anchor texts as they are read by Google crawlers. Make sure to cover it in 3 areas – in beginning, middle and ending paragraphs. This is even maintained by Yoast SEO plugin. After stuffing the keywords for on-page..
..the turn comes to use the collateral keywords for Off-page SEO. While building inbound links or say backlinks use the mixture of Latent semantic indexing and target keywords. Use in comments on other blogs, forums, and communities doing so Google gives you credibility for such terms. One point to keep in mind though the link on your keyword and the post it refers on your website should be highly relevant. You might have also noticed many bloggers features CommentLuv which can give you a quality do follow link. Still waiting? Start looking for such websites but it should be on your niche only then you can get some benefit out of it. Latent semantic indexing is based on user search pattern and behavior where one keyword search links up to another keyword search. 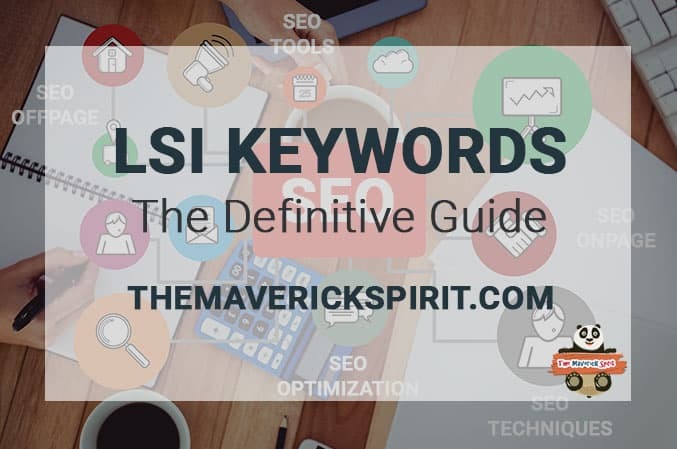 Furthermore, if you found the article useful do share it with your friends who are still unaware of the importance of using LSI keywords for SEO. Meanwhile, if you still have any doubt let me know. 11+ Best, Free & Pro LSI Keyword Research Tools to Rank Higher in Search Pages! How Does Your Website Pages Get Ranked in Google Search 11+ Best, Free & Pro LSI Keyword Research Tools to Rank Higher in Search Pages! A good post explaining the benefits of long tail keywords. I try to use them more often without looking like I’m keyword stuffing. I learnt a little more about LSI from this post. Thank you! Glad you found it helpful, Jacqueline! This is helpful; I didn’t know too much about long-tail keywords. I still feel a little new to it all. I got a subscription to Jaaxy to help me figure out basic keywords that would have a wide reach. I need to look Jaaxy haven’t heard of it before!! This is the second post I’ve read on the subject and it is so interesting and makes so much sense that you have to describe almost what your keyword is about. I know alot of people who still go by stuffing a post with keywords and I like the balance you described so much more. Ah yes, SEO and LSI. I have to admit that I haven’t been giving enough attention to LSI. I’m still trying to wrap my mind around how it all works. But this article helps a ton. True that, Ola! LSI keywords help to build more blog authority with better rankings and click through rates! This is so interesting! I had no idea that using similar words was also good. I will definitely keep this in mind while drafting my new blog posts! Thank you! I’m still learning about keywords and all of that. I always want to try and get my posts seen so I need to keep this in mind. Wow, this is so insightful. Thank you so much for this information. This will definitely be a re-read several time as well as a share. This is great advice for people who want to learn more about SEO. It can be an overwhelming topic but you’ve broken it down really clearly. Yes, it is, Nellwyn! And if played well it could help people to rank their post on Google as well as generate traffic to their website! Well, I see you haven’t set up your Gravatar image! Here is a post where I have briefly explained the importance of having a Gravatar account for social visibility! Yes, Long tail keywords are so important for SEO, they are the fruits rather of a search! Informative post on the keyword search. It is always a good practice to search for keywords before writing a blog post. Long tail keywords play an important role in SEO. I also struggle a lot with figuring out how it works but this post was very informative thank you so much! Wow this is good info as this is the first time I am hearing about LSI. This make so much sense and helps greatly with SEO thanks for the addition information on this! These are great things to think about when you are stressing getting your blog setup and remembering keywords. I don’t think about this one.